Today Rockstar has announced plans for future content for L.A. Noire and details on the now available Rockstar Pass. 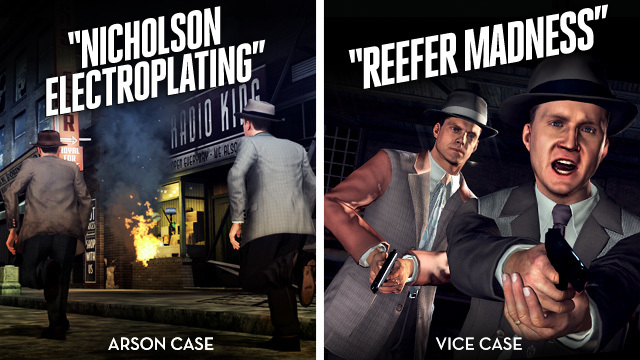 For a limited time, purchasing the $10 Pass will give you two Detective suits, the Badge pursuit challenge, and the pre-order cases "A Slip of The Tongue", and "The Naked City", as well as the upcoming cases "Nicholson Electroplating", and "Reefer Madness". What the Rockstar pass basically does is purchase the unreleased DLC, so when it becomes availble, you can just download it. Without the Rockstar Pass, all of the content would be $20 if purchased indivdually. The Pass is only $10 for a limited time, and afterwards will cost $15. 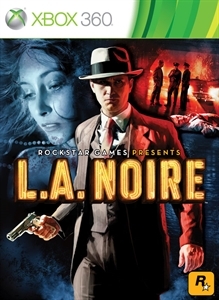 "The L.A. Noire Rockstar Pass includes all the following: The Broderick Detective Suit, The Sharpshooter Detective Suit, The Badge Pursuit Challenge & Button Man Suit, "The Naked City" Vice Case, "A Slip Of The Tongue" Traffic Case, "Nicholson Electroplating" Arson Case and "Reefer Madness" Vice Case. Individual items will become available to download when released."